Today, Josh and I celebrate our three year anniversary! It’s a big milestone. We have a date planned for these evening, but most nights when we are together we try to make a meal that both of us will enjoy. It’s not always easy figuring out what to eat when you’re in a relationship with a carnivore, but if your partner is open to trying different types of foods, the list below might help you! One of the reasons I love being with my boyfriend is that, at the very least, he will eat the meals I make—even if it doesn’t have meat in it! (Let’s just say past partners have been less than willing to try meatless meals.) But it’s not just me making all the food. He’s also willing to step in and figure out something we can make and eat together, like the eggplant Parmesan dish. Further, if you’re a meat-eater considering going for a meatless Monday meal, you should definitely consider these options! 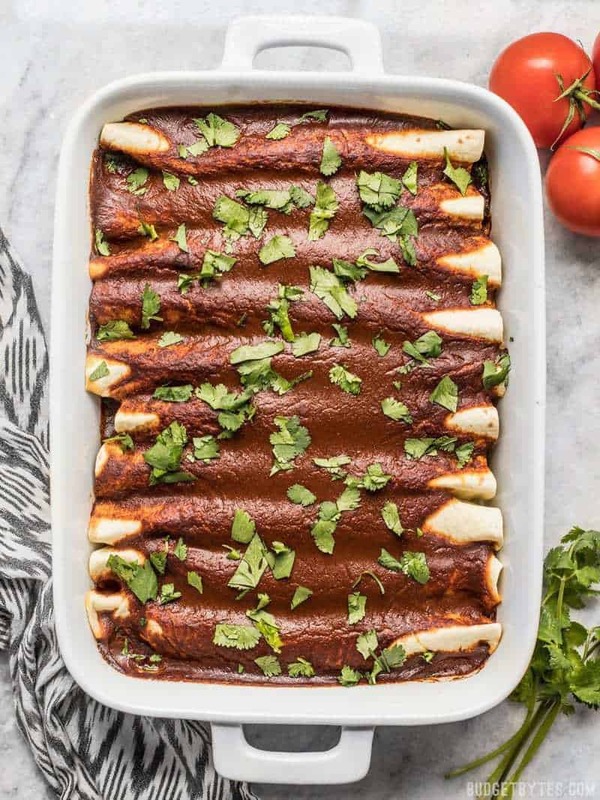 Our go-to’s are the enchiladas, slow cooker chili, spaghetti squash, and baked potatoes. Let me know if you try any of these or have suggestions for more dishes we can make!